One of the things I always notice in cities like New York or San Francisco are the older buildings that still have entrance ways and bathrooms with mosaics made from whole porcelain tile. These mosaics are very simple in design, sometimes merely a border around plain tile, or maybe a simple repeating geometric pattern. If there are objects or figures, they are simple stylized abstract motifs almost like those seen in Persian carpets. 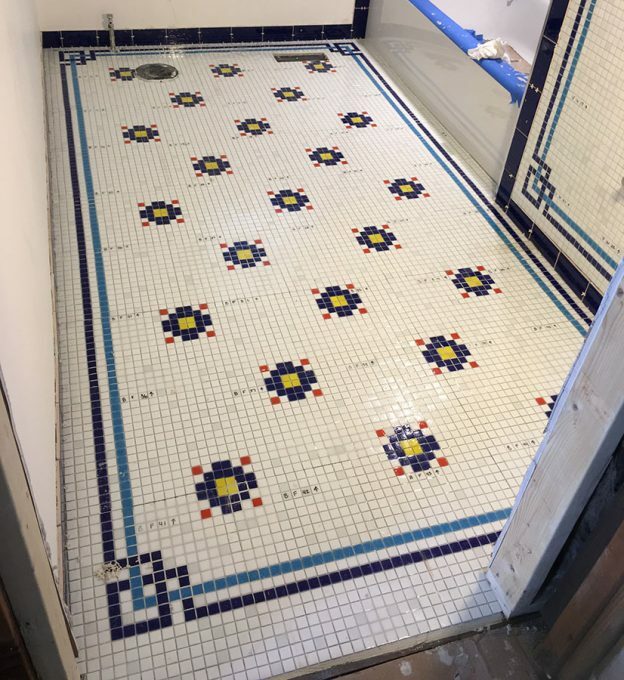 Rebecca Stoops recently emailed us some photos of her bathroom mosaic project, and the design could be described as a re-imaging of those classic geometric designs, only executed in intense colors of vitreous glass tile instead of porcelain. 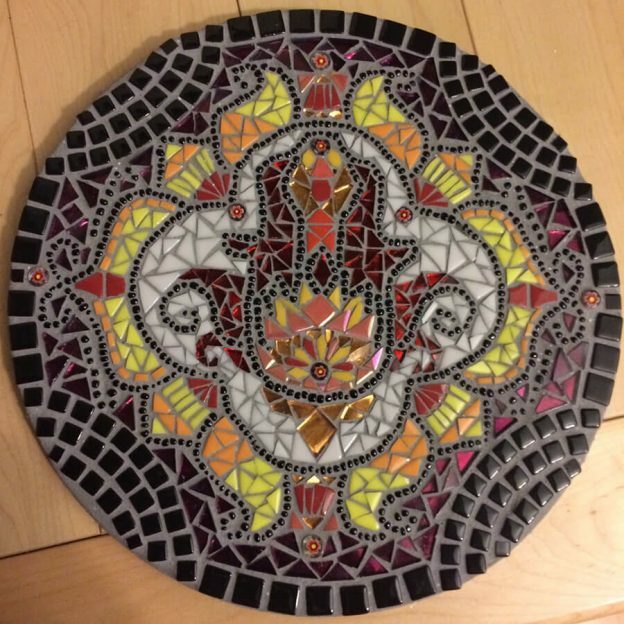 This entry was posted in Art Review, Improving Your Art, Inspiration and tagged contemporary mosaic, kitchen and bath on January 29, 2018 by Joe Moorman.